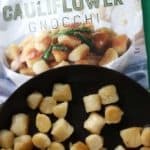 Now, besides the flavor, this is kosher, gluten-free, and while not labeled as such, a quick glance through the ingredients this appears to be vegan. There are a few places I don’t go too often at Trader Joe’s. The cereal aisle. I have a love/hate relationship with cereal. I like it in small doses. And it better be special tasting. I’m a fan of Special K with Red Berries. And growing up, Reeses Puffs were my go to choice. Otherwise, most cereals don’t excite me one bit. To be honest, I was excited about the flavor combination. But when you read the “made with beans and rice” bit, it doesn’t sound quite as appealing. Sounds more like something that should be served with some enchilada sauce. But I’ll pretty much try anything once. So, I opened the bag and popped a few in my mouth. They were crispy and had a nice sheen. If ingredients weren’t listed, I would not have guessed this was gluten free. Big score in my book. After having the handful, I started having clusters of the same flavor. The vanilla puffs were pleasantly vanilla. The strawberry puffs are decently strawberry, but upon closer examination, this is due to the coating. Bite into one and they have the same vanilla looking interior. 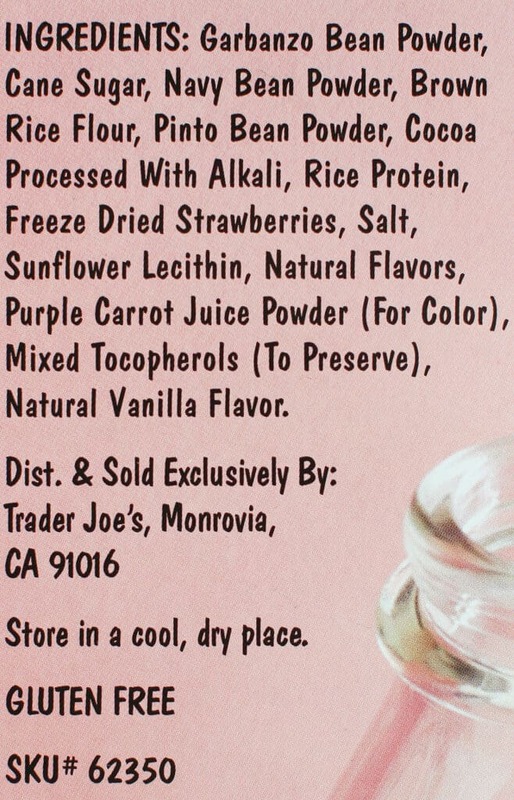 What they have done here, is use freeze dried strawberries, to add intense strawberry flavoring. I just wish they had done that all the way through, as freeze dried strawberries are excellent to bake with, or blend into a powder. The chocolate puffs are sufficiently chocolatey. 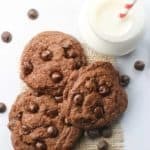 I do wish they used cacao powder in place of cocoa power to up the intensity. But not a deal breaker as one flavor here shouldn’t dominate. For $3.69 this is still cheaper than many grocery store cereals of the same size. Would I buy this again? 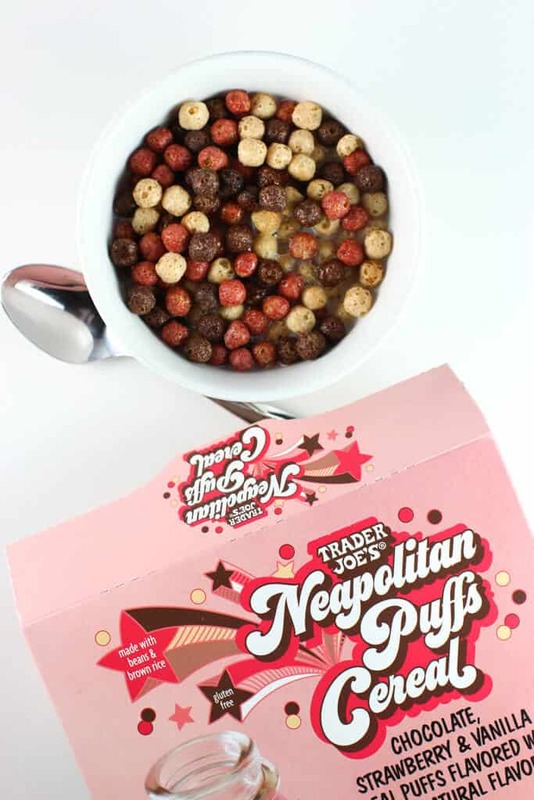 I might buy Trader Joe’s Neapolitan Puffs Cereal again. While I’m not a huge cereal fan, I did enjoy munching on this. 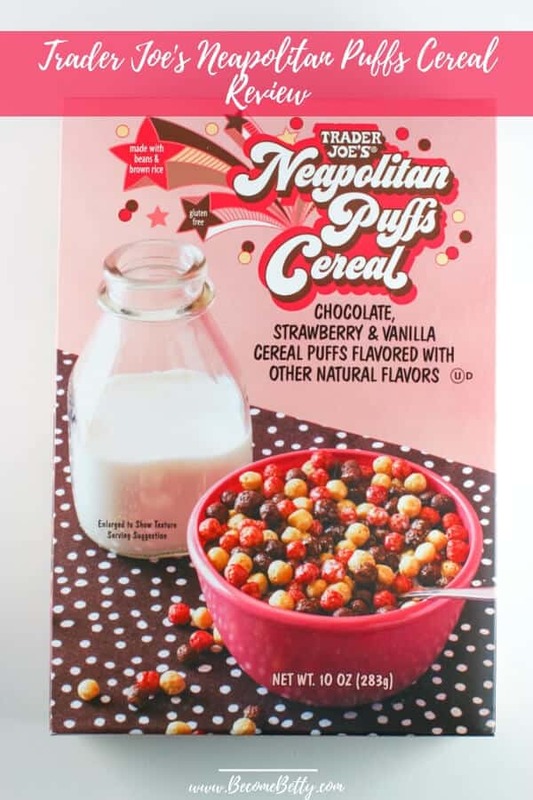 Product Description: Trader Joe's Neapolitan Puffs Cereal is gluten free and has three flavors: strawberry, chocolate, and vanilla. 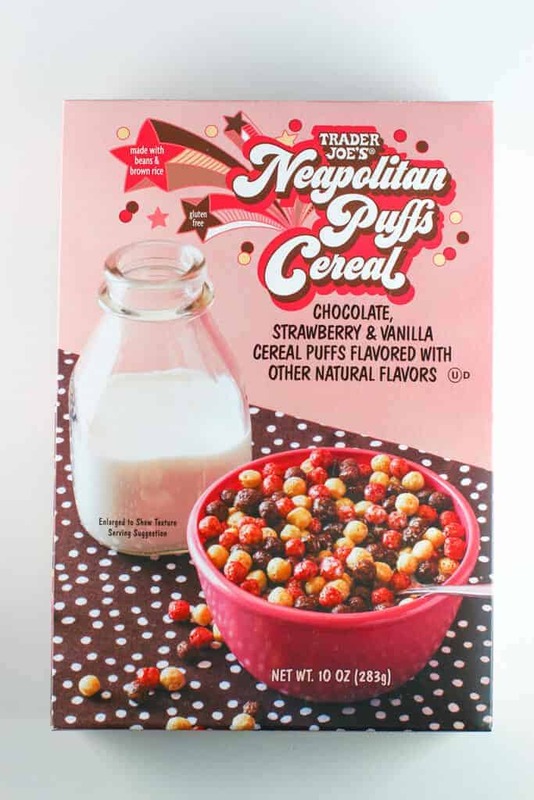 Trader Joe’s Neapolitan Puffs Cereal has three flavors in one box: strawberry, chocolate, and vanilla. They could have upped the flavors just a bit more. I like the retro groovy design on it. I think it would make excellent cereal treats too. Also a bonus sneaking some nutrition in there with beans for the kids. Smart thinking TJ’s. 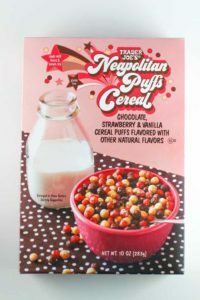 It reminds me of the cocoa puffs scoops cereal; similar. Also the irony is that TJ’s haven’t done actual Neapolitan ice cream yet. They could do neopolitian hold the cone. Hmmmm….. sounds interesting but not interesting enough for me to buy it. I am also not a big cereal eater. Although that said everything is looking good right now and I’m going through Trader Joe’s withdrawal. We have been having the biggest snowstorms that Seattle proper has seen in 70 years. We were actually never get snow in this part of Seattle . I live up a big hill up from the Space Needle and then my apartment complex is on another huge steep hill so I have been trapped since Friday. No snow removal and no remote chance of even getting out of my complex. And I so want to go to Trader Joe’s but not even sure they are open. Hopefully when I dig myself out within the next few days…..whimper. 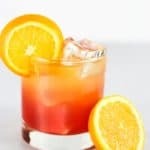 I could really use two or three of those Cadillac Margaritas right now! Hey Dag! I’m sorry to hear about all of your snow. I’m in a hilly area and I know the struggle. 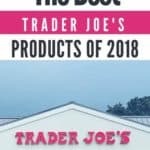 I hope Trader Joe’s has food after the storm. I know that snow tended to lead to shelf clearing. And yes, nothing wrong with having a margarita to make that house bound feeling more tolerable. Hope everything gets better and winter ends ASAP for you. I was just at the store a few days ago and didn’t see this! I usually keep cereal around for snacking on dry, or maybe ontop of yogurt but not a fan of it in (vegan) milk. 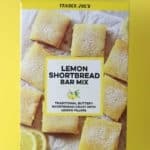 This does look to be vegan, and I’m really annoyed that TJs stopped putting the V in a circle emblem on products the way they used to. 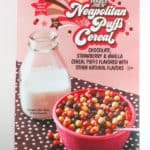 I’ll definitely pick this up, nutritional info looks similar to my favorite snacking cereal Puffins which is also incidentally gf yet you wouldn’t know it. Hey Ttrockwood! I feel the same way about having to guess on certain items. 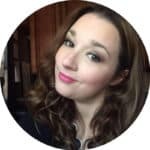 I don’t want to misrepresent any product in anyway and it would be helpful for most people to quickly glance at the package and make the best determination for themselves. Thanks again for stopping by and I hope you get a chance to find this! If an item is labeled gluten free, I believe it needs to be tested and comply with the FDA gluten regulations. This is an added cost for manufacturers. This may explain why many products which do not appear to have gluten are not labeled as such. Hey Adrienne! Thanks for that. It’s just frustrating from a consumer standpoint where you can look at the ingredients and say “well this SHOULD be” gluten free as opposed to it being labeled. We’ve actually had a similar discussion about that issue with vegan products as well. But again, I would love to see more clarity here for the end consumer. It’s not a big deal for me personally, but I know other people it absolutely is. Thanks so much for stopping by and sharing!